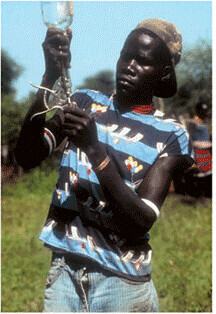 Steve Kemp, a geneticist at the Nairobi laboratories of the International Livestock Research Institute (ILRI) for both ILRI and the University of Liverpool, argues in this short video (2:24 minutes) the new opportunities — as well as urgent need — for exploring the remarkably rich livestock diversity that evolved and still exists on the highly diverse African continent. Voice of America reported yesterday (‘Regulation Can’t Keep Pace with Livestock’, 22 Feb 2010) that the UN Food and Agriculture Organization (FAO) says that ‘livestock production is growing faster than our capacity to safely manage it’. A new FAO report, The State of Food and Agriculture, underscores the importance of supporting the world’s one billion poor people who depend on livestock to make their living. What poor animal keepers need, say scientists at the International Livestock Research Institute (ILRI), is a ‘third way’ of producing milk, meat and eggs that copies neither harmful industrial-scale factory farming of animals in rich countries nor inefficient subsistence-level practices currently used to wrest a living off marginal lands in poor countries. ILRI staff argue, most recently in the world’s leading science journal, Science (‘Smart Investments in Sustainable Food Production: Revisiting Mixed Crop-Livestock Systems’, 12 Feb 2010), that more sustainable animal agriculture is particularly needed in developing countries, where livestock production is growing fast, natural resources are being degraded and lost, and small-scale mixed crop-and-livestock farmers are already feeding most of the world’s poor people. The authors of the Science paper, who come from ILRI and other centres of the Consultative Group on International Agricultural Research (CGIAR), also see this ‘third way’ of livestock production as particularly vital for the new ‘food frontiers’ of the world. These, they say, are the many farmlands currently being used to raise animals as well as to produce maize, rice and other major food crops that lie between the high- and low-potential agricultural lands of developing countries. ‘It is these relatively extensive medium-potential mixed-production farmlands that have been neglected until now,’ says lead author and ILRI scientist Mario Herrero, ‘that should now be the focus of agricultural development policymakers and aid agencies. These are the lands that are key to feeding the world’s extra 3 billion people over the next 4 decades. Click here for the Voice of America news item about the FAO study. Click here to read the Science paper by ILRI and other CGIAR researchers on the import of mixed and extensive crop-livestock farming for food security. Researchers are converging in Cambridge, UK, to find ways of translating research findings faster into pro-poor animal health policy and practice. Rift Valley fever, which continues to spread in East Africa, killing more than 90 people in Kenya alone, brings into sharp focus the inadequacies of animal health delivery systems in developing countries and the role of the global community in redressing these. This mosquito-transmitted disease is also hurting the livelihoods of poor people by killing their young cattle and sheep and causing ‘abortion storms’ in their pregnant stock. Brian Perry, a veterinary epidemiologist at the Nairobi-based International Livestock Research Institute (ILRI), argues today (19 January 2007) in Science, a leading scientific journal, that animal diseases impeding livestock enterprises in developing countries are being ignored by the global community, leaving developing countries stranded with outmoded disease control systems that serve neither the needs of the poor nor the global community. 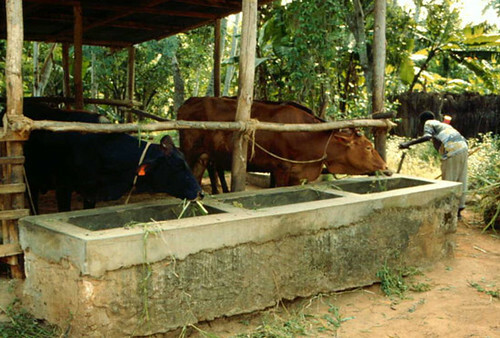 In his article, ‘Science for Development: Poverty Reduction through Animal Health’, Perry and co-writer Keith Sones argue that the global community needs to give greater thought and investment to building scientific capacity in animal health research within developing countries. Perry’s article explores opportunities afforded by science to help resolve this mismatch. Perry also points out high-priority areas requiring new funding. The article sets the tone for a high-level conference on animal health research taking place in Cambridge, UK, next week, at which Dr Perry and other ILRI colleagues will be presenting their research findings to an international group of experts. The conference is co-sponsored by the Wellcome Trust (UK) and Science. To obtain the article by Brian Perry, ‘Science for Development: Poverty Reduction through Animal Health’ (Science, Vol. 315. no. 5810, pp. 333–334), please contact the American Association for the Advancement of Science (AAAS) at +1 202-326-6440 or scipak@aaas.org. Or get the article online (subscription required) at: http://www.sciencemag.org/cgi/content/summary/315/5810/333. For interviews, contact Catherine Mgendi at +254 20 422 3035 or cell: +254 726 243 046; c.mgendi@cgiar.org.